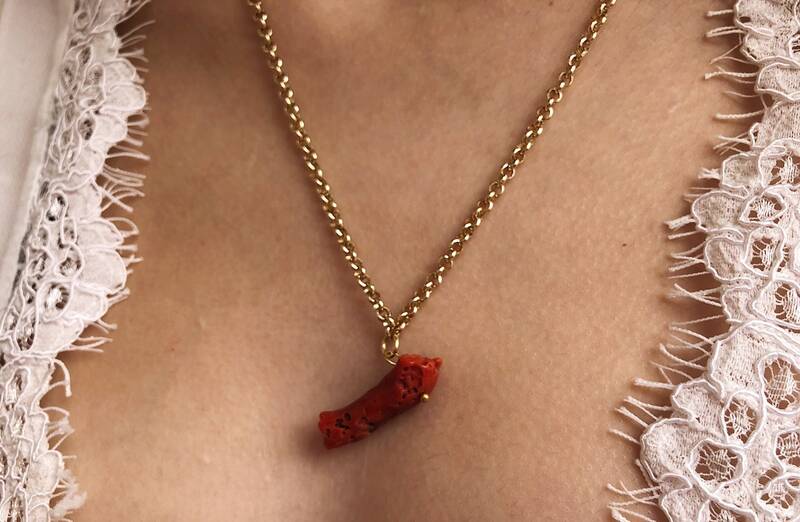 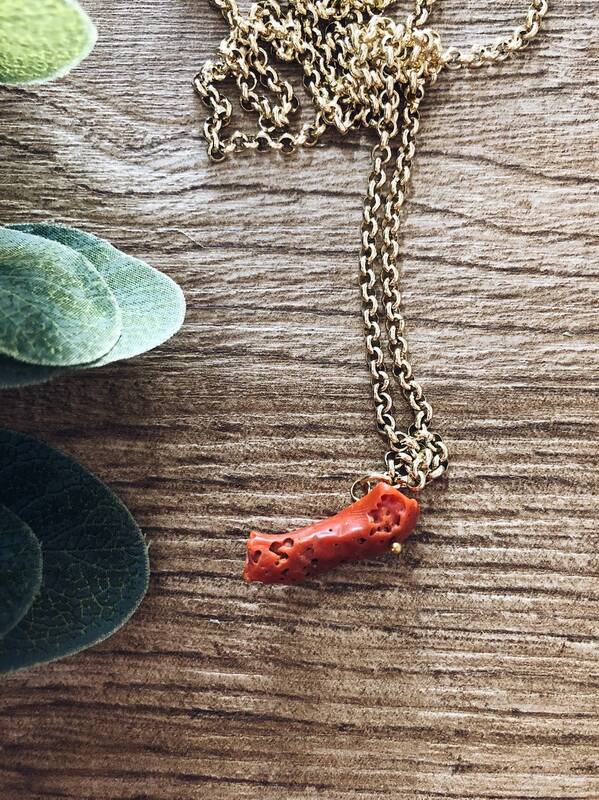 The necklace for sale is made with golden brass chain and authentic coral branch pendant. 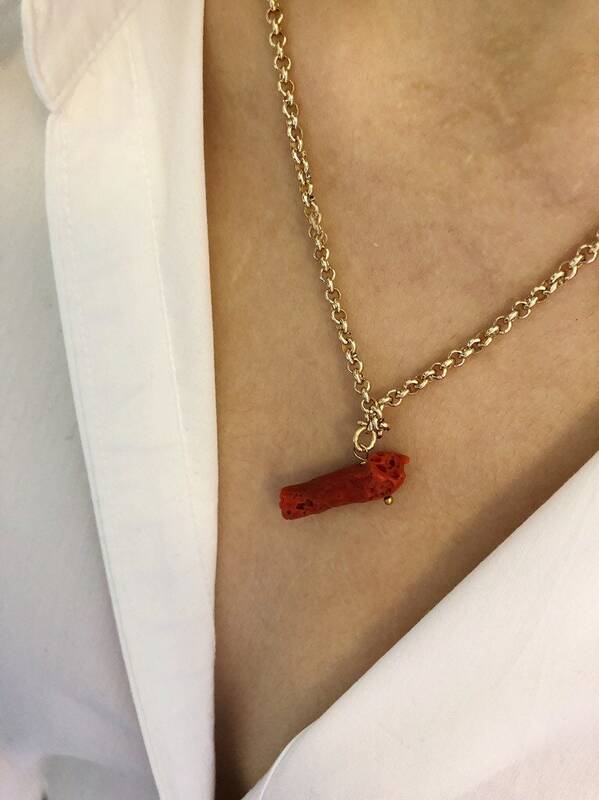 The necklace is 50 cm long. 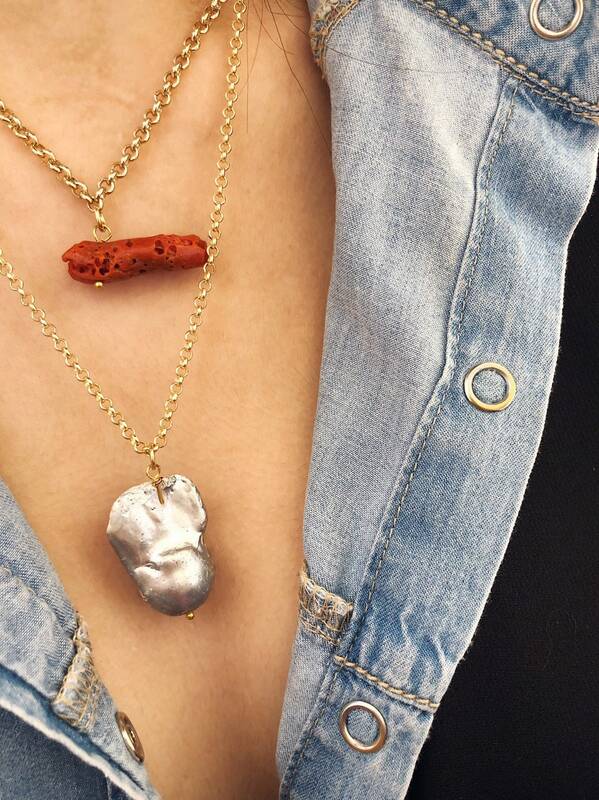 Clasps and hooks in gilded 925 silver.